Please note this item includes special delivery postage as standard. Note - At checkout please select 'UK Standard 1st class post Inclusive' as the shipping option - it will be automatically upgraded to Special Delivery with no extra charge. We can also provide Licencing for Pangolins new and groundbreaking Laser software Pangolin Beyond - please email for details. 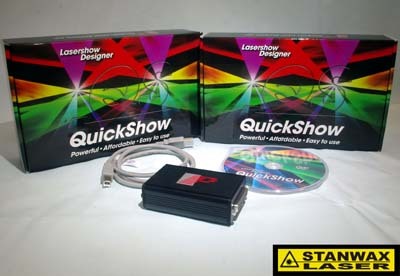 Quickshow is a powerful Live laser player with frame/animation creation/editing functions. It has built in abstraction generator, text generator, plus a timeline based show creator. 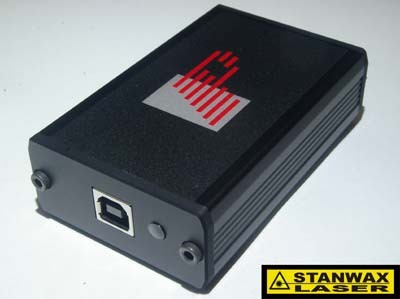 A huge array of effects can be applied to the cues in real time giving the operator stunning control over the laser output. Music beat sync. and preset colour and geo effects create a never ending kaleidescope of laser effects for beam or graphics based shows. Powerful Pangolin features such as projection zones with full geometric correction and the support and experience of the world leader in laser show software/hardware solutions ensure you get a stunning laser experience right out of the box. 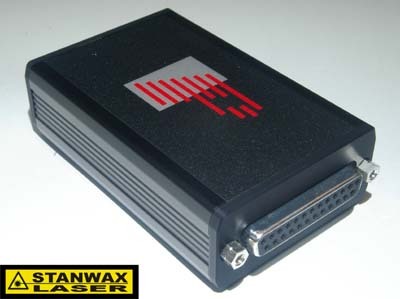 Fantastic piece of hardware & software, does exactly what it says on the tin. Great to do buisness with rob exellent service Note: FB3 Worth every penny!